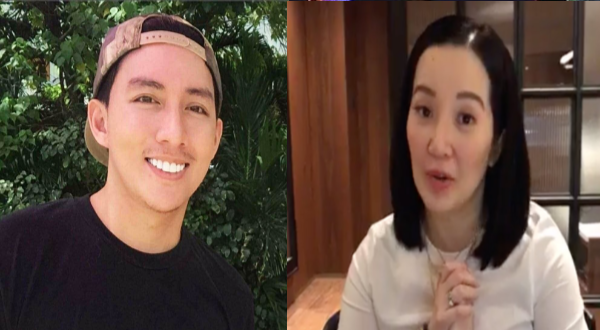 A citizen from Cebu city has deemed actress Kris Aquino a "spoiled brat" in his open letter, saying that she is using drama to influence people. This was posted at the height of the 2016 elections in Dimatiga's Facebook account. Dimataga posted the open letter with remarks on how Aquino should first acknowledge that she and her brother are corrupt and are taking advantage of the country's democracy. "This is not a movie Madam Kris. This is real life. If you really want us to enjoy the democracy that your parents fought for, then please tell your brother to stop playing around with the pinoys and buying their votes. He is the president, isn’t he suppose to behave by himself? Who are you Kris? His spokesperson? do you work for malacanang?," he said. He added that Aquino is not among the masses, and should not act like she understands the Filipino people like she claims. "You are the one who cries and after wears a yellow dress on your shows? I like you but please don’t get involved because you are already rich and bias, you don’t understand why we want change. I dare you to live in a squatter house for one year, and work as a farmer, or sell food in the public market before you say that you know how we feel." Dimatiga said that just like her pain in losing her father, are those of the Filipinos who lost their family members because of the "sloppy work of your brother", reminding her of the Yolanda incident, where funds for donations have gone missing in the hands of the government. "Kris, you are much more smarter than your brother, so please kindly explain this to him that the election is not a game. It is right that we gave time to your mom and brother to lead the country at the price of your father’s life, but nothing happened.," he said. "I hope that you give us a chance, we as the pinoys, especially the youth, to experience true change, and a chance at a clean election," he added. It can be recalled that at the 2016 elections, the Liberal Party's candidate, Mar Roxas who was closely affiliated with then President Benigno Aquino III, Kris’ brother, lost to now President Rodrigo Duterte. Their Vice Presidential candidate, however, Leni Robredo garnered the necessary votes. Ms. Kris don’t be be such a spoiled brat. Don’t use your drama to influence other people. This is not a movie Madam Kris. This is real life. If you really want us to enjoy the democracy that your parents fought for, then please tell your brother to stop playing around with the pinoys and buying their votes. He is the president, isn’t he suppose to behave by himself? Who are you Kris? His spokesperson? do you work for malacanang? You are the one who cries and after wears a yellow dress on your shows? I like you but please don’t get involved because you are already rich and bias, you don’t understand why we want change. I dare you to live in a squatter house for one year, and work as a farmer, or sell food in the public market before you say that you know how we feel. You said when your father died, you lost everything. How about those others who also lost their families because of the sloppy work your brother did. Do you remember Yolanda and all the people who died? Are you blind? Or are you just pretending to be blind. Kris, you are much more smarter than your brother, so please kindly explain this to him that the election is not a game. It is right that we gave time to your mom and brother to lead the country at the price of your father’s life, but nothing happened. I hope that you give us a chance, we as the pinoys, especially the youth, to experience true change, and a chance at a clean election.